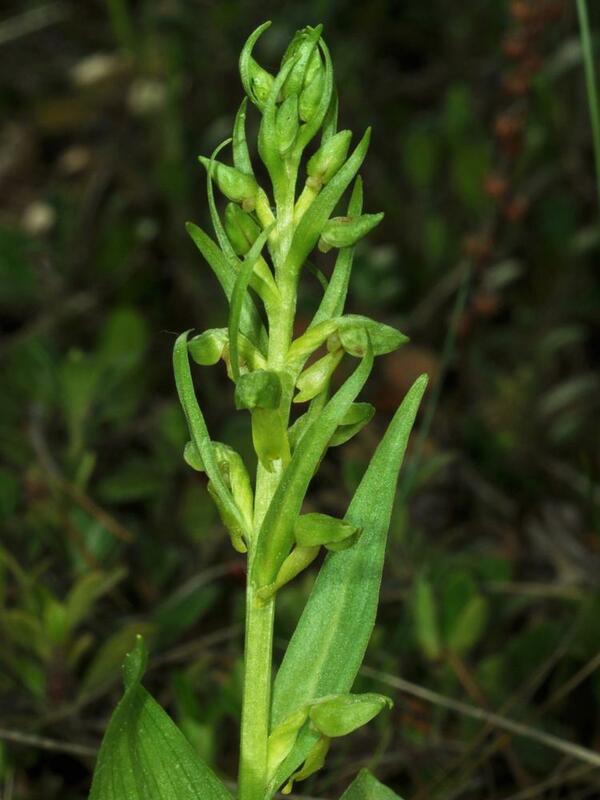 Dactylorhiza viridis, also known as the Frog Orchid, has one of the widest global distributions of any orchid: it is found across Eurasia, Canada, and the United States, from Alaska to North Carolina. 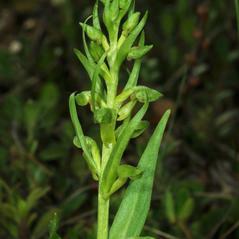 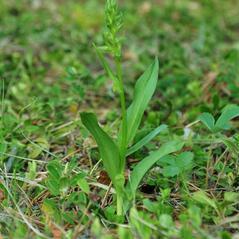 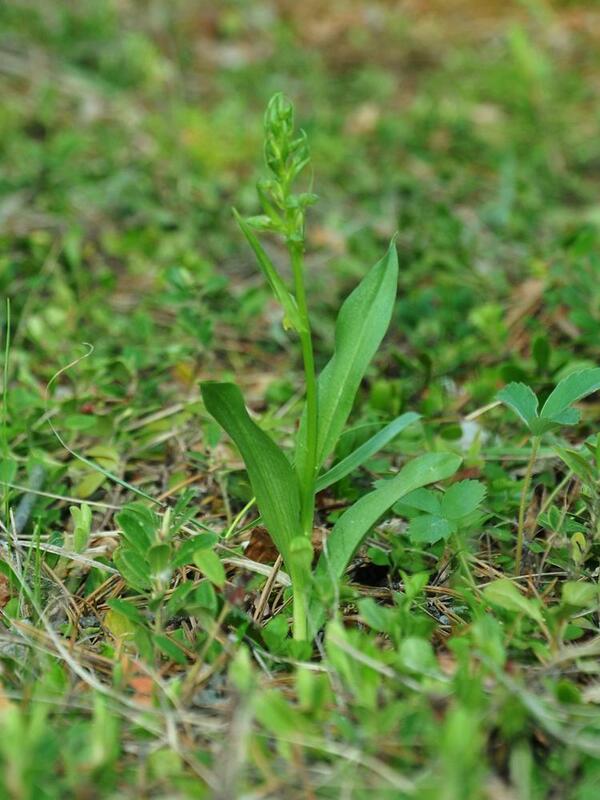 It produces multiple green flowers, with the petals and labellum often suffused with red or brown. 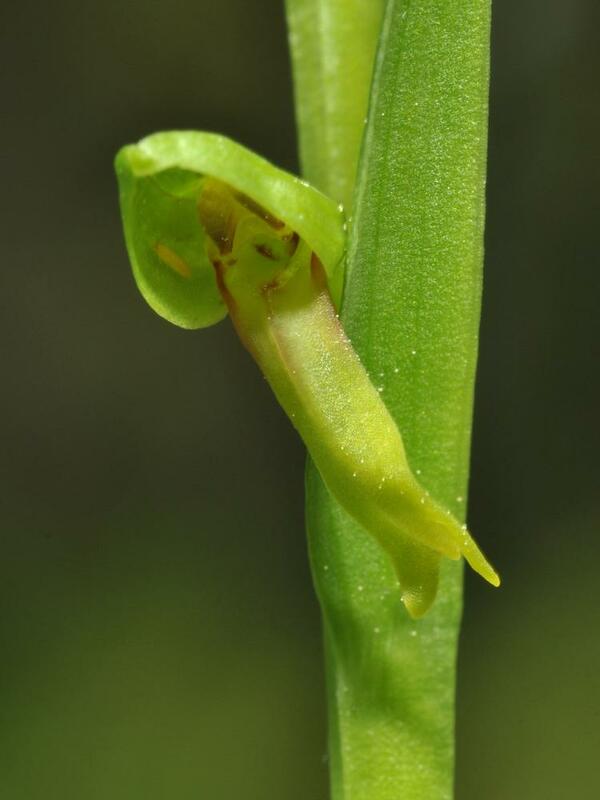 The large floral bracts usually extend beyond the small, inconspicuous flowers; in addition, the green color of the petals and labellum means that the flowers themselves can be hard to distinguish. 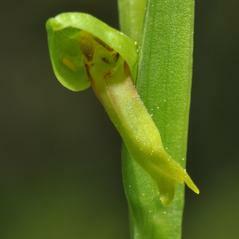 The dorsal sepal curves to form a hood over the labellum. 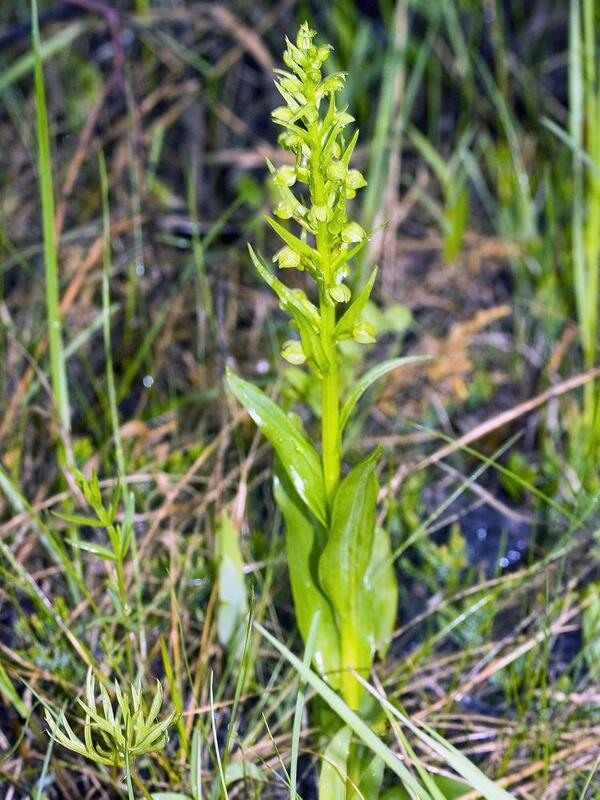 It prefers moist habitats, growing in wet coniferous forests, tundras, prairies, meadows, and bogs. 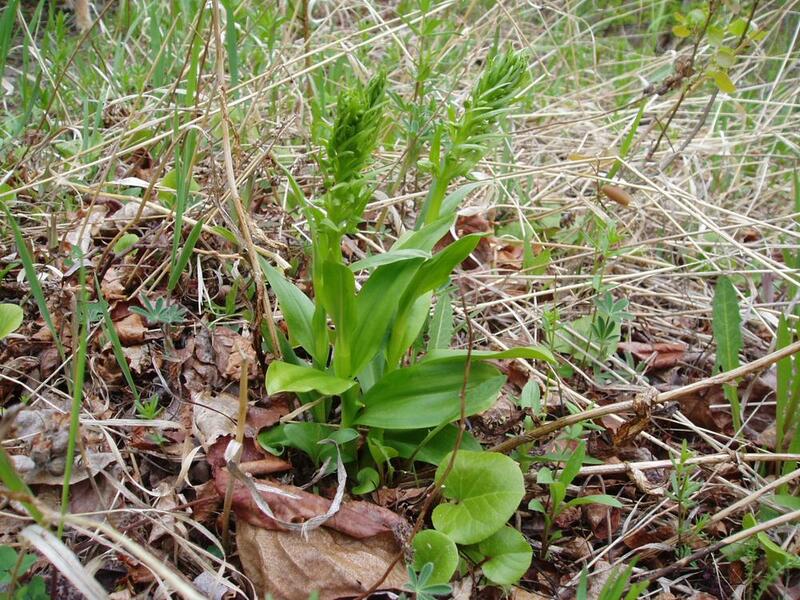 Dactylorhiza viridis is considered globally secure and is well established throughout much of Canada, although it may be rare in a few mid-Atlantic and New England states. 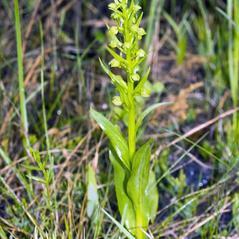 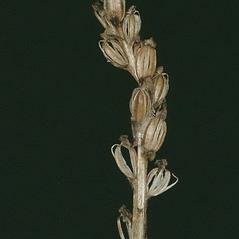 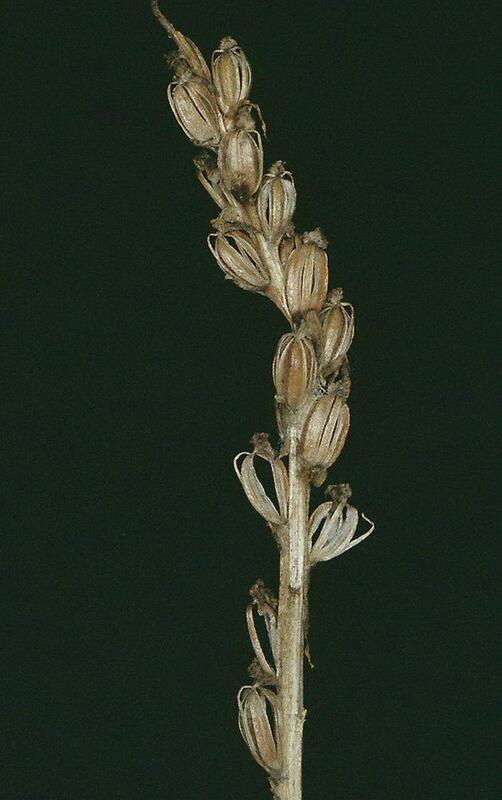 The pollinators of this orchid are unknown in North American populations. 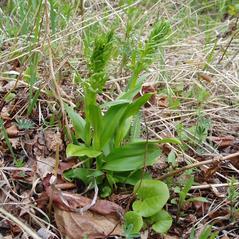 Populations in the Faroes are suspected of being autogamous since insects capable of pollinating the flower are limited.